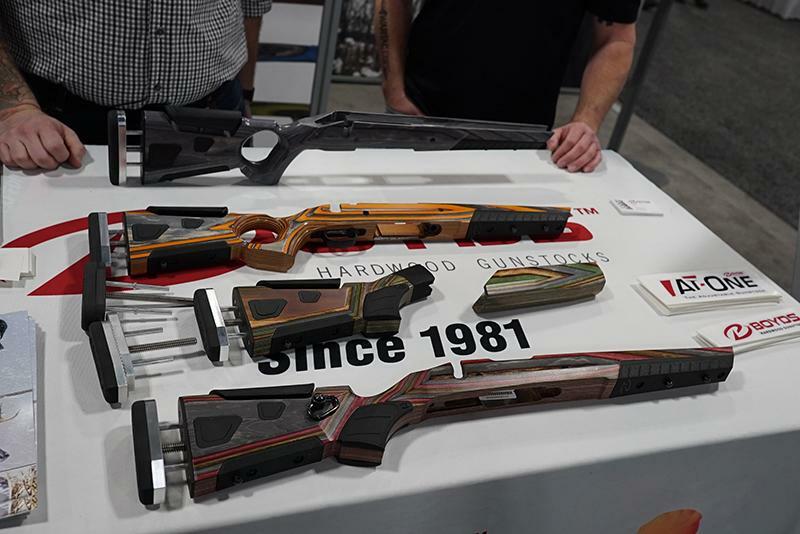 Boyds Gunstocks, the South Dakota-based maker of hardwood gunstocks, introduces a brand-new gunstock shape for 2019: the Boyds At-One Thumbhole. The Boyds At-One Thumbhole design is one that is extremely popular with hunters and shooters because it allows the hand to grasp the grip of the stock more solidly and keeps the wrist flat and in a more-comfortable ergonomic position which provides better stability — is perfect for those all-day hunts. Available in over 12 colors, the Boyds At-One Thumbhole gunstock is now available to hunters and shooters everywhere.